Trying to film scenes that take place in the middle of the Blue Ridge Mountains of rural Virginia might seem like a bit of a challenge in the middle of Hollywood, California but that is what Movie makers specialize at, making magic happen. 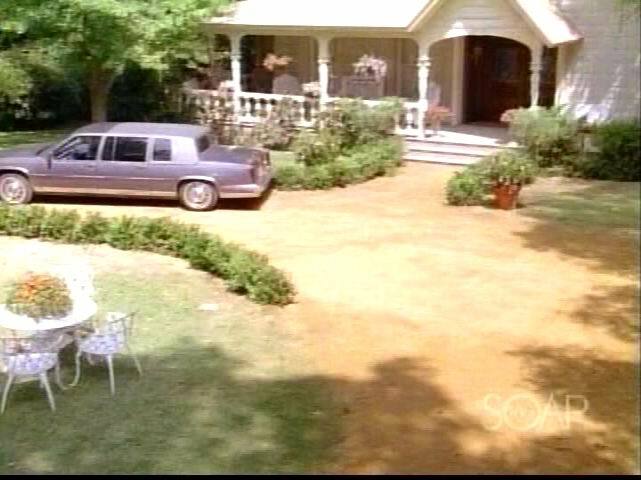 The Waltons not only made good use of interior sets that were filmed on sound stages but quite a bit of the show's drama took place in exterior locations as well. Collected below is an extensive explanation of how and where the production company brought these scenes to life. 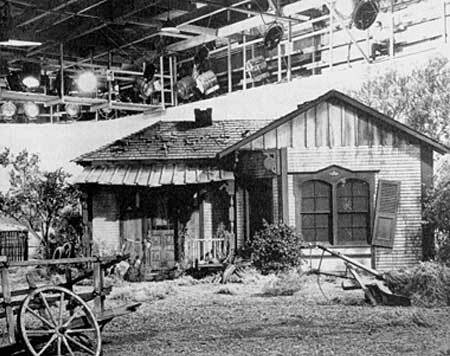 Interiors for The Waltons were filmed on Stage 26 and Stage 20 of The Warner Bros. 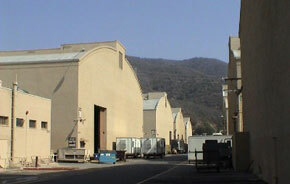 Studio which was known during the original series as The Burbank Studios. 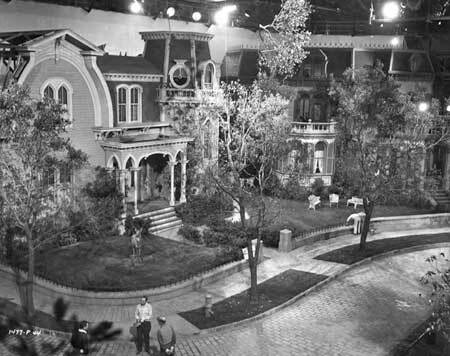 The exterior of the Walton house and Ike Godsey's Mercantile and Drucilla's Pond were located on the backlot just to the east of the Stages in an area known as the Jungle set. 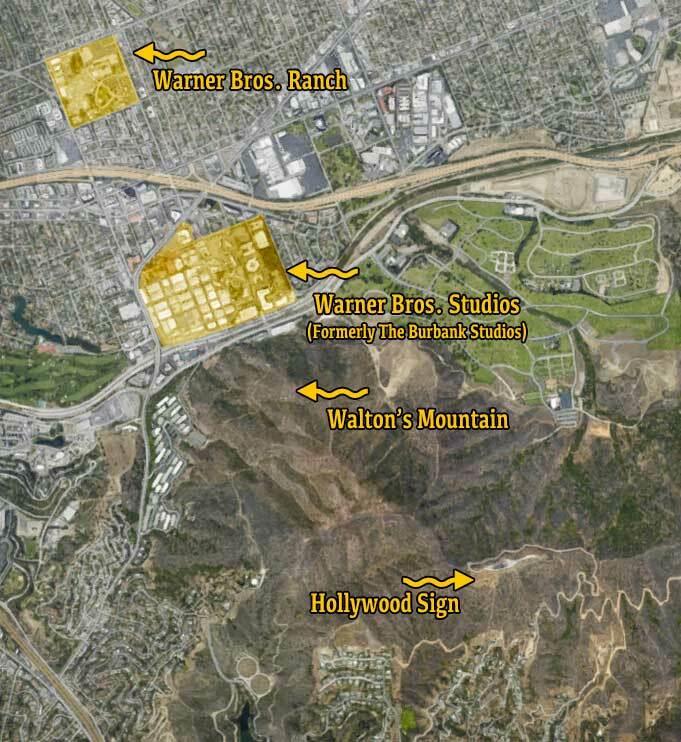 Just to the south of the Studio is a mountainous range of the Hollywood Hills that played the role of Walton's Mountain. The infamous Hollywood Sign is located on the southern side of the same range. 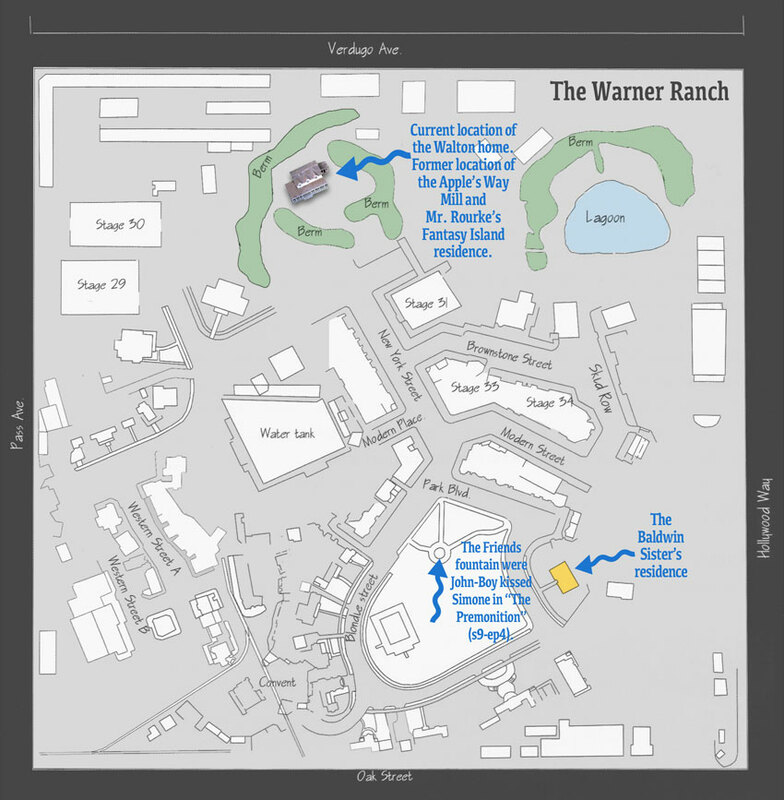 1/2 a mile to the north the the main Warner Bros Studio facility in the Warner Bros. Ranch where the Baldwin sisters home is located and whichin also the current location of the Walton Farm house after is was relocated from the main lot in 1995. 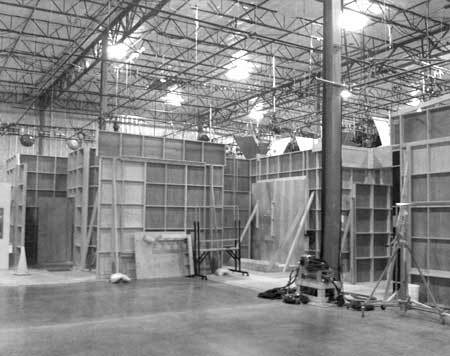 Interior locations are typically built on sound stages so that there is enough space for the cameras, crew, lights, actors and action. It also allows the production to control unwanted sounds and other distractions that can interfere with the production. 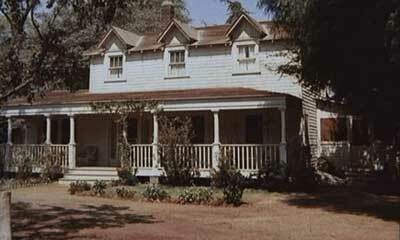 The exterior of the Green Acres house which was filmed inside a studio. 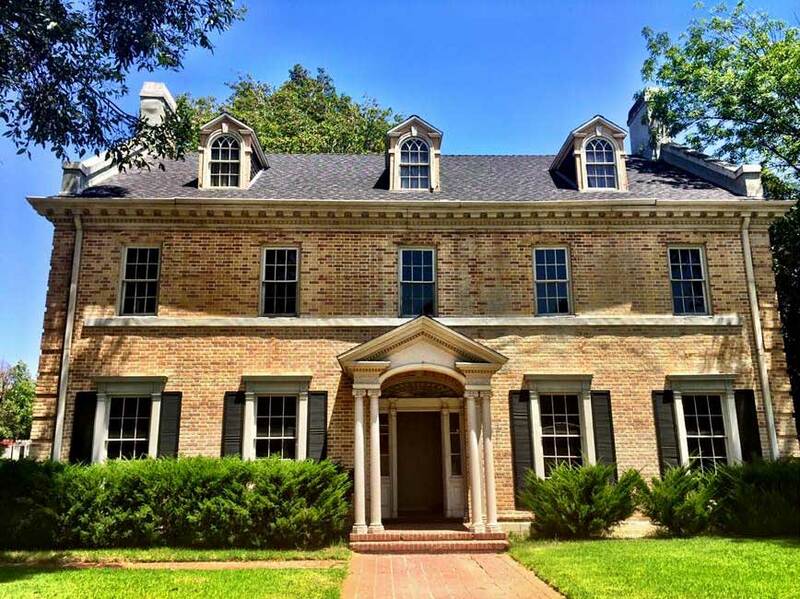 THe Walton house also had an exterior facade that was built on the front of the first floor set. This allowed scenes to flow from the porch into the interior of the house. Seen above is the home that was used for The Munsters. 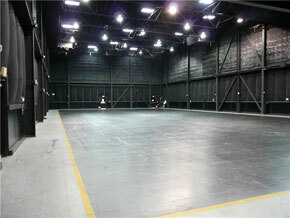 Once again it is built inside a sound stage. 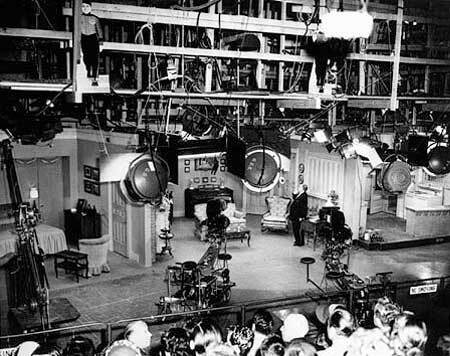 Above a studio audience can be seen during the filming of I Love Lucy. 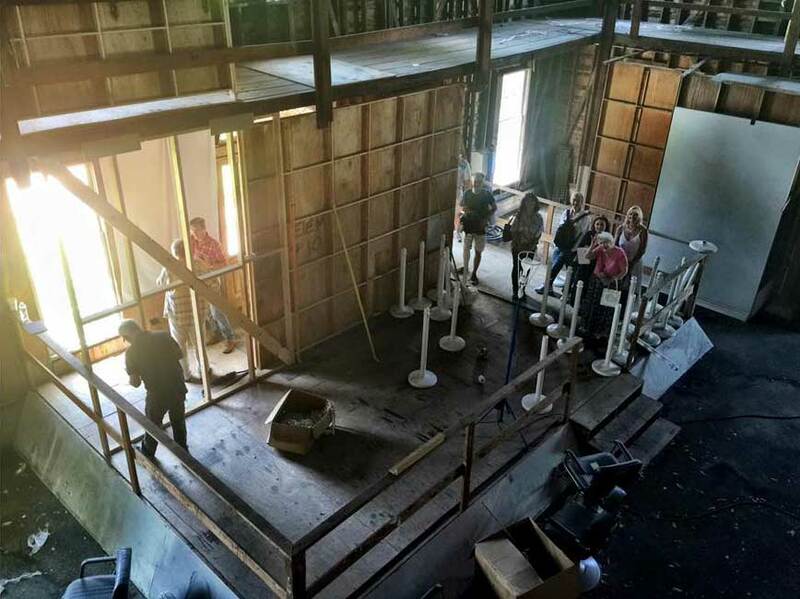 While the Waltons was a drama and didn't allow for a live audience you can see how the lack of a forth wall for each room in the house allowed for the cameras ands crew to easily film scenes. Looking behind these sets you can see the fake walls from the back side of a interior set. Some of these walls can be removed or added to allow different camera angles and perspectives in which to tell the story. Above is a portion of the Walton's porch that was built for the reunion movies. The porch existed on stage 26 and on the back lot. When they filmed inside the living room, a giant painted backdrop of trees might be glimpsed through the lace curtains. 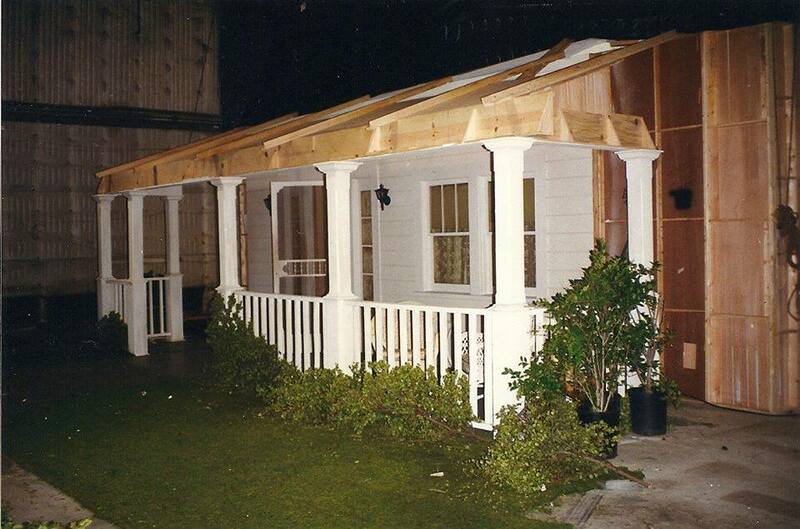 These photos are from the reconstructed set from the reunion show. Images courtesy of Kami Cotler. 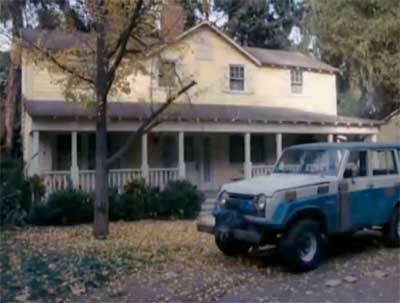 The Walton house interiors were filmed on Stage 26. Looking at the outside of the home you would think that the Walton home was a typical rectangular shape with a few addtions added on for the mudroom and the grandparents flat. 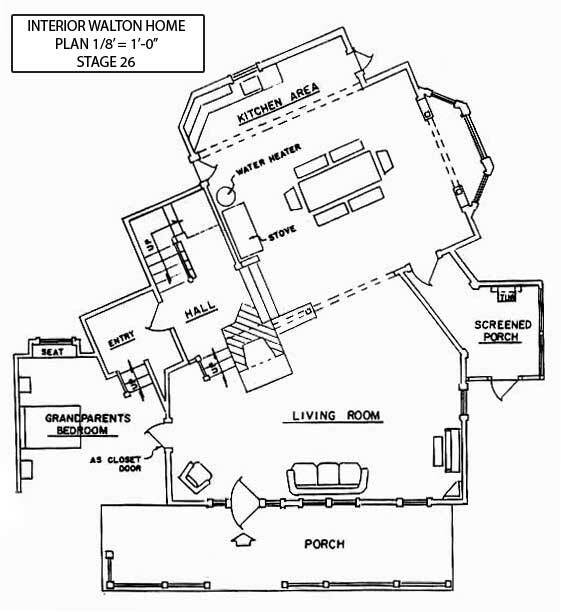 Looking at the floorplan for the interior set and you would realize that this is not as it seems. Most likely this was not a character driven idea that John Walton had thought of when he built the home but a production motivated idea to allow more room and depth for the actors and movie camera. The unorthodox interior angles of the downstairs Kitchen and living room is sometimes apparent when the camera looks towards the 2 walls where the radio and piano are placed from the perspective of the kitchen. Another production irregularity is the layout of the second floor. The parent's bedroom also doubled as the girl's bedroom. John-Boy's bedroom is located behind the upper window on the left of the house. 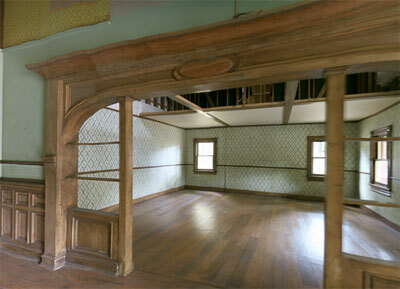 The boys bedroom (which is rarely depicted on the show) is located at the back portion of the house. The parent's room by most signs would occupy the space behind the upper window on the right. This puts the middle window into question, which room does it belong to? The obvious answer would be that the middle window belongs to the girls room. For filming and budget purposes though the the same set was used as the girl's and parents bedroom. Only the beds and dressers were changed depending on the scene. Ralph senensky, the director of "The Cradle" (s2-ep19) explains below. "The upper floor of the Walton home presented an interesting lesson in budget accountability. 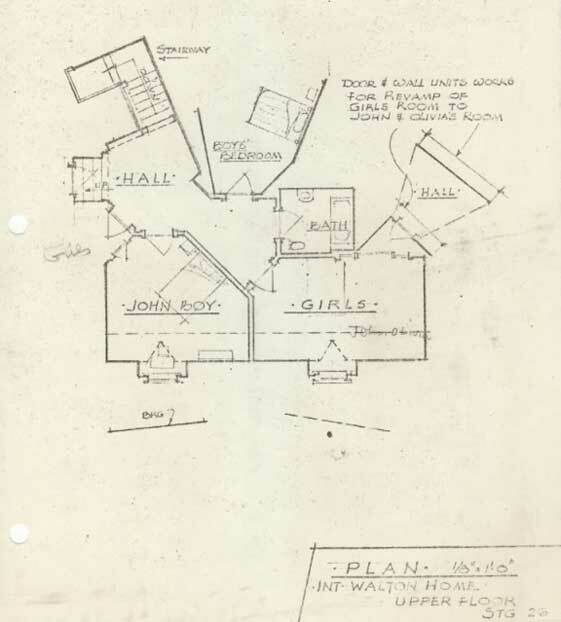 As you come up the stairway (in the upper left hand corner of the floor plan) into the upper hall, John-Boy’s bedroom is straight ahead; the boys’ bedroom is on the right, then the bathroom and finally the girls’ bedroom. 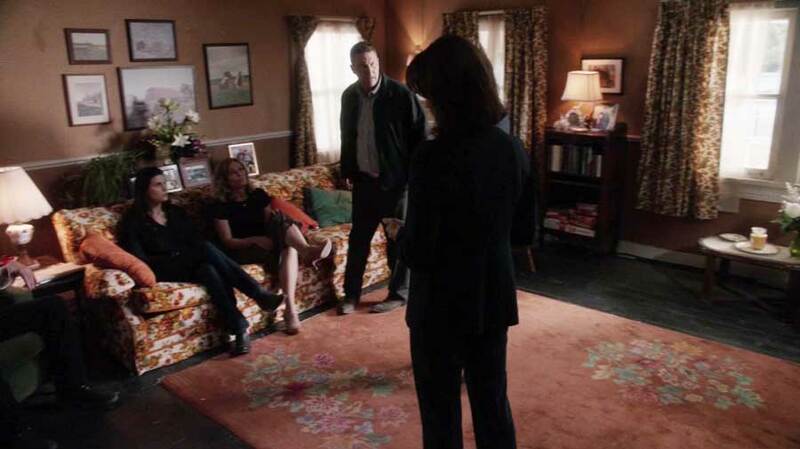 The girls’ bedroom however also worked as John and Olivia’s bedroom. When we filmed IN the parents’ bedroom, the walls were revamped; a flat wall replaced the doorway used for the girls’ room and a doorway replaced a flat wall in the other corner. 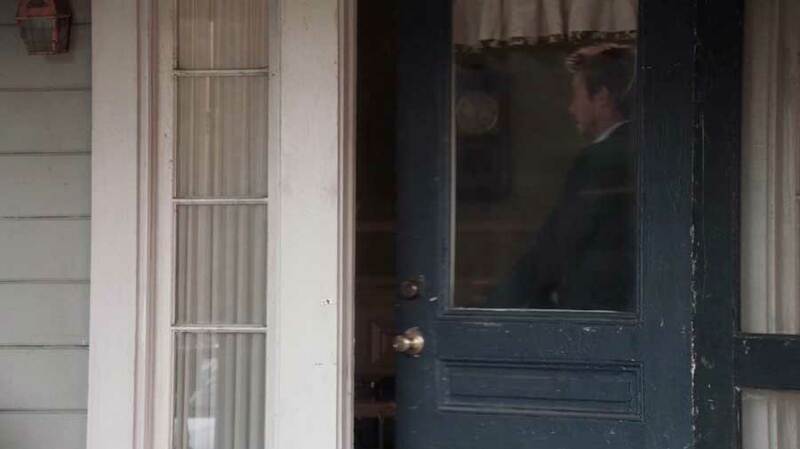 The view of the hall through the new door was also revamped when it was John and Olivia’s bedroom. The one change that could not be made: when filming entrances into the bedroom from the hall, both the entrance to the girls’ bedroom and the entrance to the parents’ bedroom were next to the bathroom." 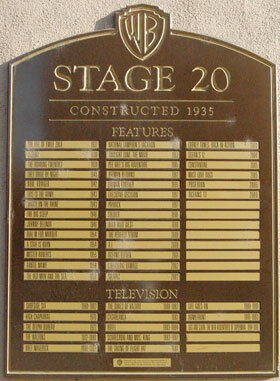 Plaques have been mounted on the outside of each stage listing the Features and TV shows that were filmed on that stage. 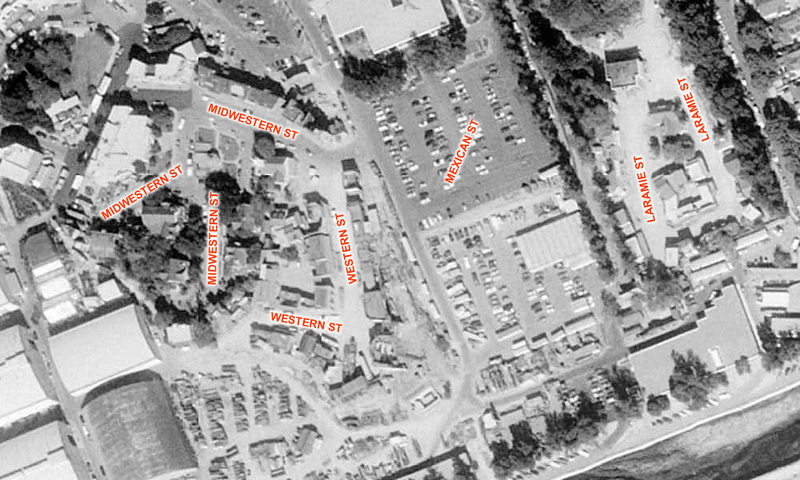 The map above (ca.1967) and the aerial photo below (ca.1994) show the locations of various buildings and sets used for the filming of the series. To the right of the map is a detail from a 1983 studio map (mustard yellow) of the Jungle Set that clearly shows the Walton house, garden shed, Barn and the new Mill at the top and Drucilla's Pond near the bottom. 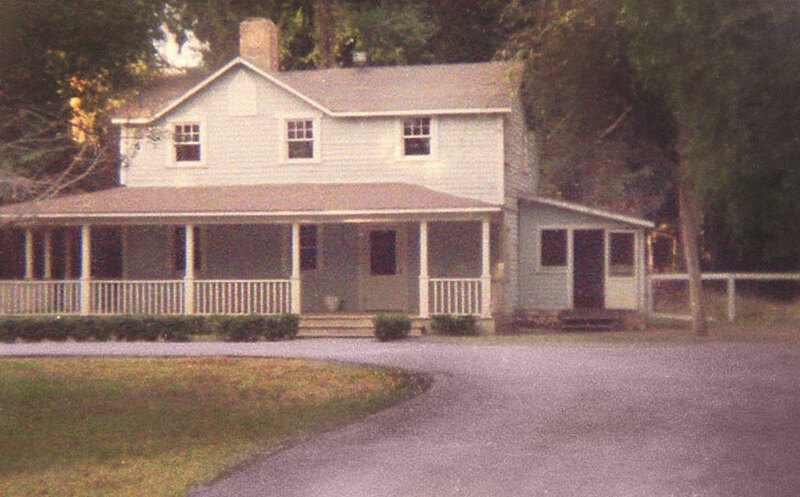 In 1972, Earl Hamner chose the house structure which closely resembled his childhood home in Schuyler, Virginia to become the the family home for The Waltons. 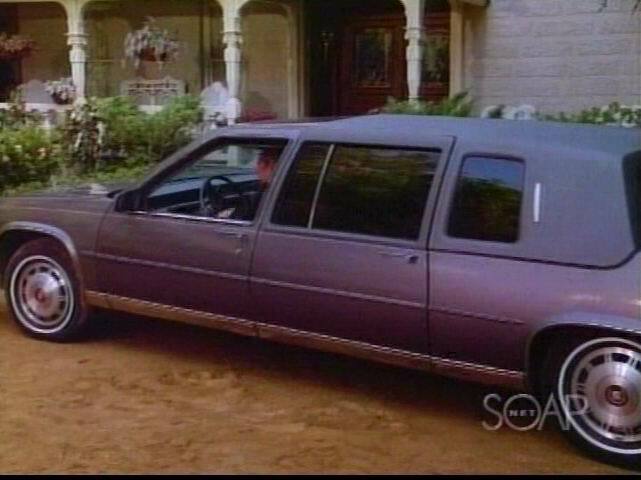 Not only did the set quickly gain television stardom it would become so well known that it practically became typecast and was difficult for it to be used for other productions after the series ended due to it's noteriety. 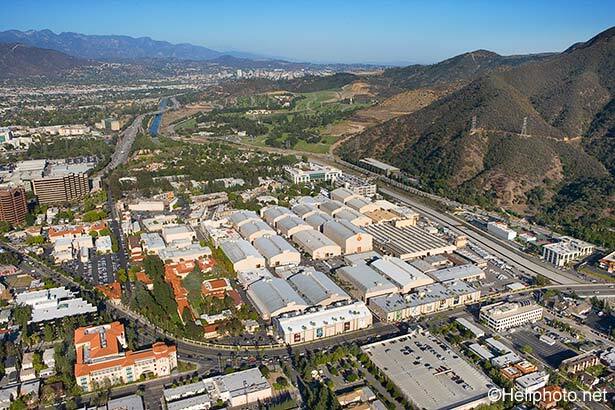 Another aerial view of The Warner Bros. 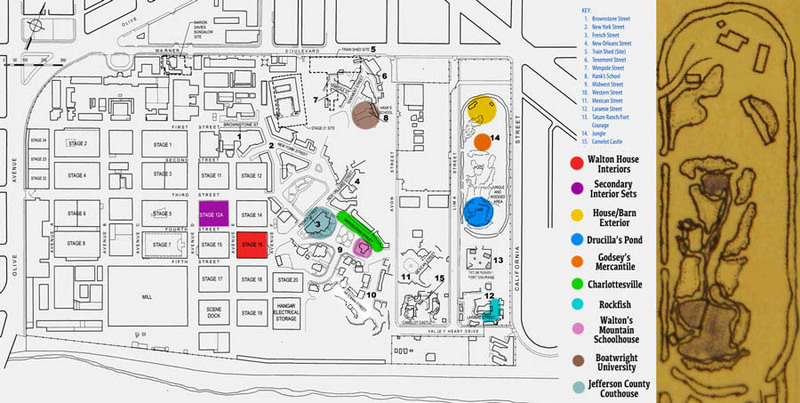 Studio lot. A. Sound Stage #26 - Walton House Interiors; B. Waltons Mountain Schoolhouse; C. Charlottesville; D. Jefferson County Courthouse; E. Boatwright University; F. The forested area which contained the location of the exteriors used for the Walton House, Barn, Mill, Drucilla's Pond and Ike Godsey's Mercantile; G. The Western set was used to depict the town of Rockfish; H. Just visible at the bottom of the still is a parking lot that had been the location of the Camelot Castle set (1967) that had been redressed as a Shaolin Temple for the 1970's series Kung-Fu which some of the Walton child actors would play in when not filming scenes on their on sets. It appears below as it did for the 1973 remake of Lost Horizon. 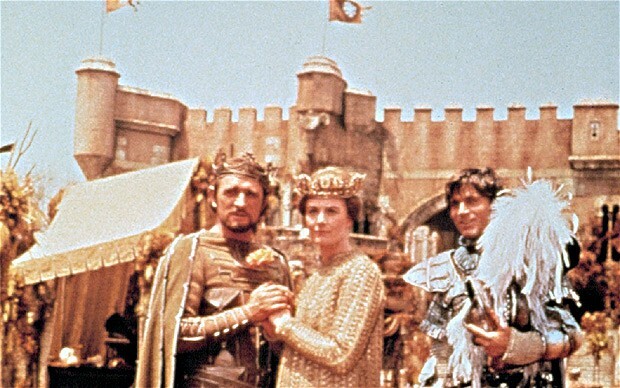 Below is how the same set appeared originally in the 1967 film Camelot. The town of Rockfish and the Baptist church were filmed on the Western set. 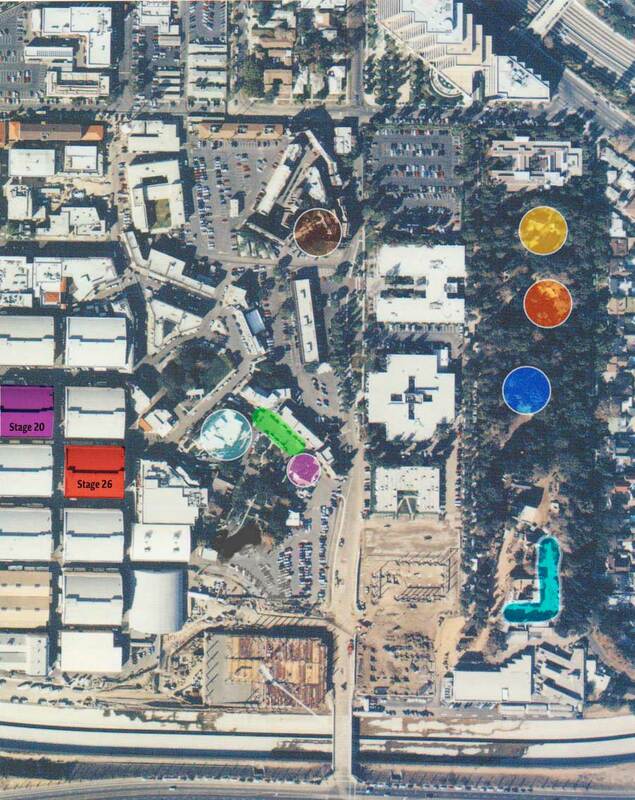 The mountain that stood in for Walton's Blue Ridge Mountain is located directly south behind the main Warner lot. 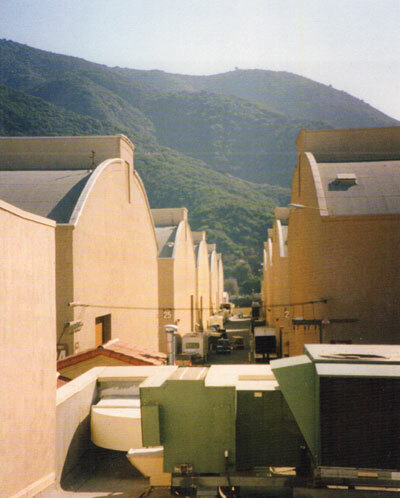 Due to the forested area of the Jungle set and the height of the Hollywood Hills and in conjuction with careful camera placement it was possible to film scenes that appeared to be in an entirely rural situation with a mountainous backdrop while in reality located in the middle of a bustling urban movie studio. Click here to see a 360 degree view on Google street view. 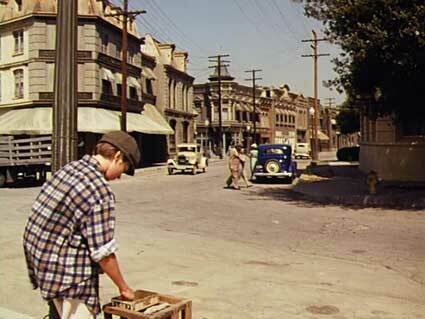 A small section of Laramie St. on the Burbank lot stood in as Rockfish. 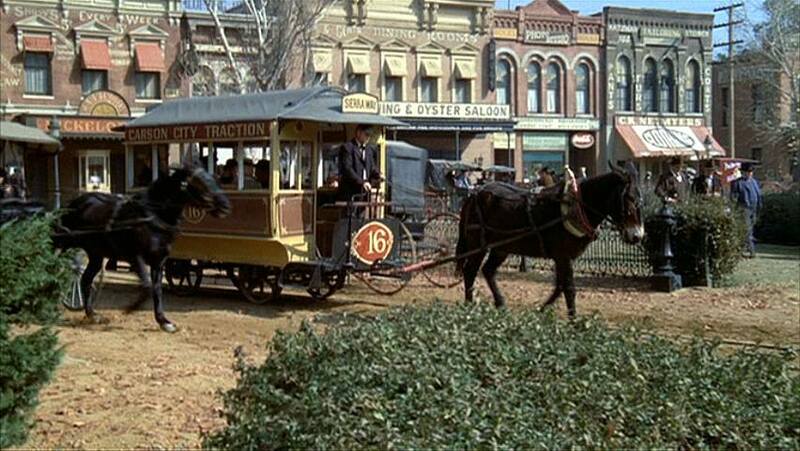 Around the corner from these buildings "Blazing Saddles" and "West World" was filmed in 1973 and 1974 respectively. 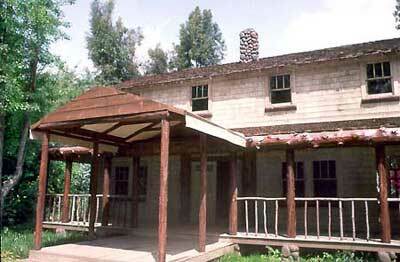 James Garner's western TV series "Maverick" was filmed here as well. In 2003 the location was torn down and remodeled by the studio. You can see more of the street in the following video. It might be a bit of a stretch to have named this area The Jungle Set because a number of scenes have been filmed here that weren't set in the Jungle, for one this is where the Walton's house, Drucilla's Pond and Ike Godsey's store were located during the filming of the series. Never the less though there was bamboo that was specially planted along with other foliage to make the scenery as exotic as required depending on the production. Reason #1. The main street itself was used to represent Charlottesville, the closest big town to Walton's Mountain. Whenever the family needed to buy something that they couldn't get at Ike's or in Rockfish they heded to Charlottesville. A trip to the dentist for Grandpa? Charlottesville. John-Boy needs a suit for College? Charlottesville. John needs to go to the Bank? Charlottesville. Because this street is so familier to viewers it is errie to recognize it in other productions. Here is a look at a few other ways in which it has been used for other movies and TV. Shows. 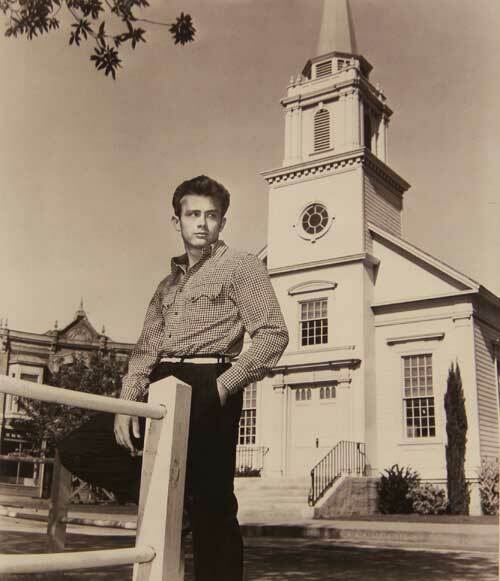 No that's not John-Boy in front of Walton's Mountain school house but it is James Dean on the set of East of Eden (1953). 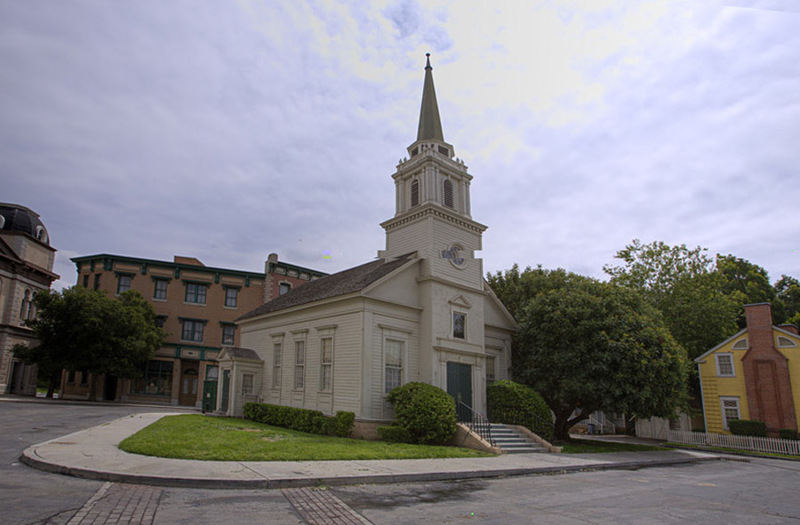 The Mid-west set church as seen in the series Pretty Little Liars. 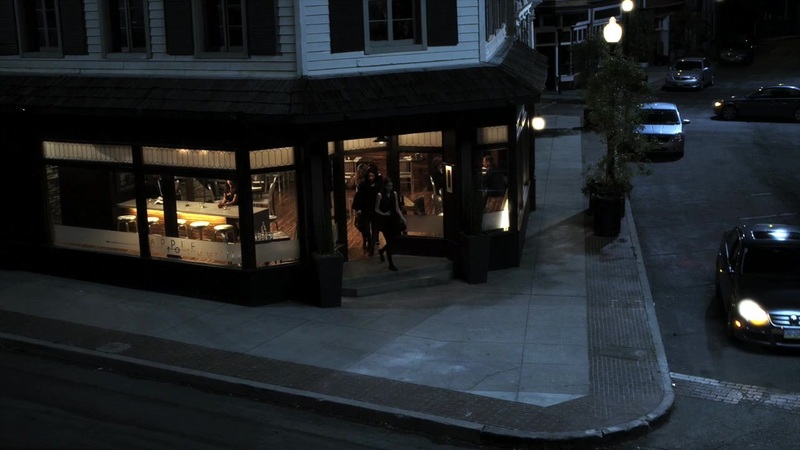 On the entrance of the Mid-west street is a storefront that played the role of Luke's Diner in the Gilmore Girls and more recently is a cafe as seen here in Pretty Little Liars. Is it snowing in the middle of the summer? No, it's just a winter scene ready for filming for the movie Gremlins. How the church appears today on the street. The church is located at one end of a square that typically contains a gazebo in the centre. At the opposite side of the square is the building that was used as the Jefferson County Courthouse where the Walton's had to go a few times to deal with various issues that plagued the family. 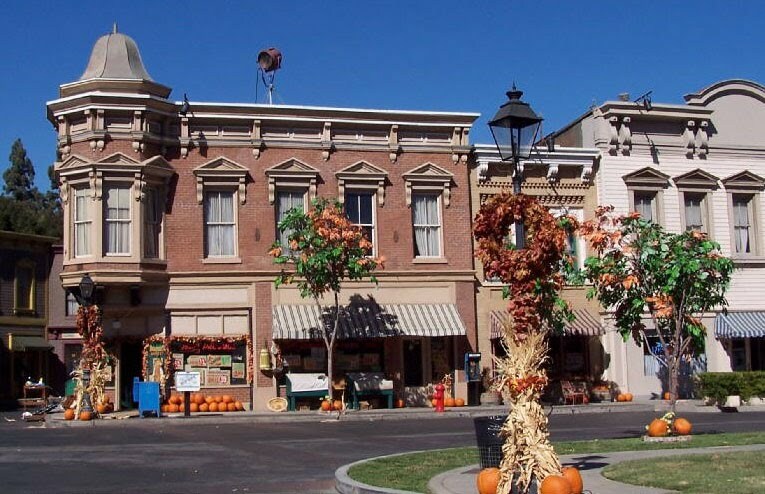 Currently the Mid-west set is used for the TV series, Pretty Little Liars where it stands in for the town of Rosewood, Pennsylvania. Below is the midwest couthouse dressed for that show. 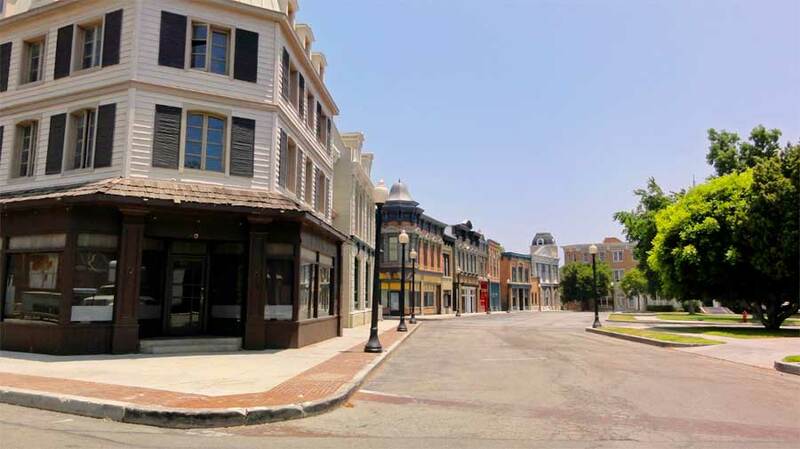 From 2000 to 2007 Midwest street was knoww as Stars Hollow, Connecticut as seen in the Gilmore Girls. 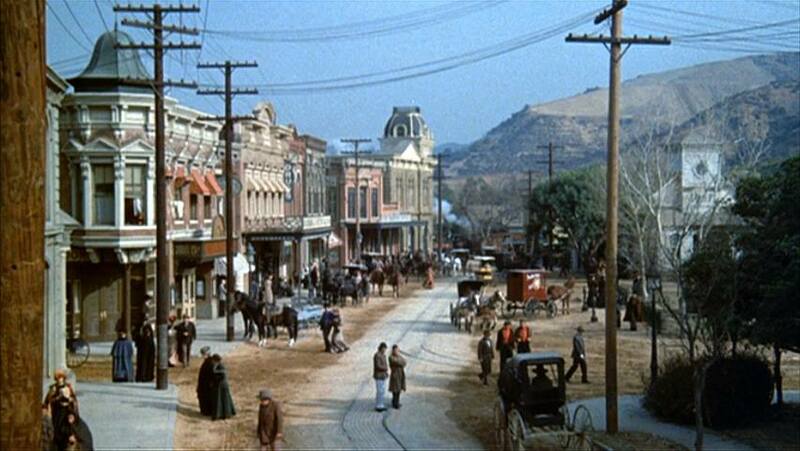 In 1976 the Mid-west street was turned in a 1901 western town for John Wayne's last role in The Shootist. Just north of the Main Warner Bros. 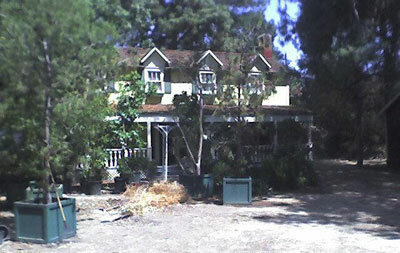 Studio is The Warner Ranch. 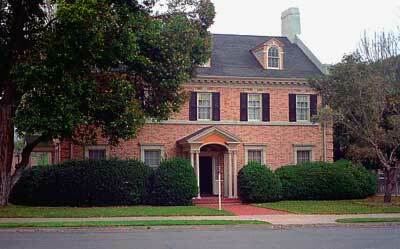 Durning the main run of the series a structure known as Skeffington House was used for the home of the Baldwin sisters. 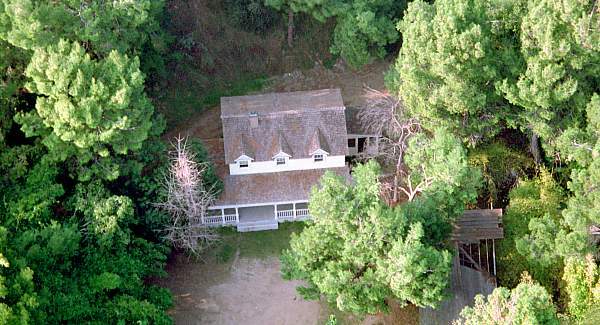 Later for the filming of the last two Walton Specials in 1995 and 1997 the location of the Walton home had been moved to a treed area on the Ranch as well. 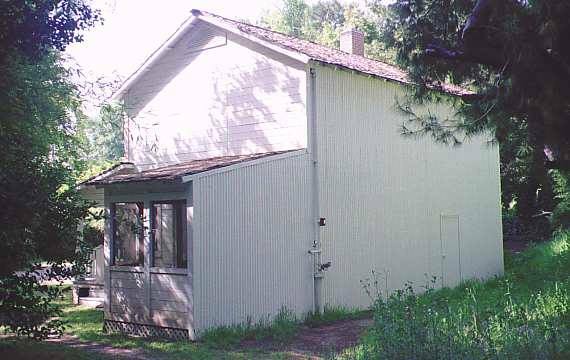 It is interesting to note that this same spot was used for the Grist Mill home as seen in another Earl Hamner created series Apple's Way. 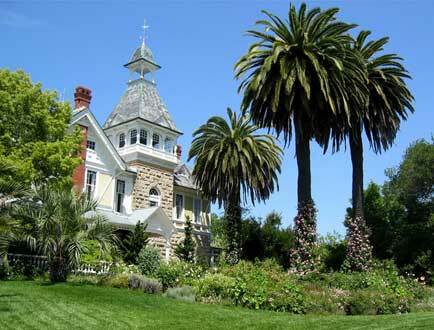 It also served as the location of Mr. Rourkes's residence as seen in Fantasy Island. 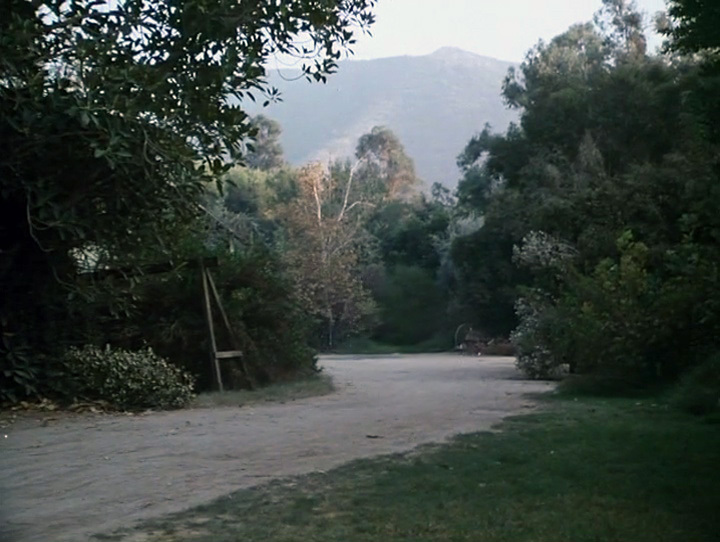 The second location of the home exterior was rebuilt on the Warner Bros. Ranch (mapped here to the right) for the 1995 and 1997 movie specials. It is located in a wooded area that can be seen above. Just south of the home is the fountain where John-Boy meets Simone, a French girl, in Paris 'The Premonition' (s9-ep4). 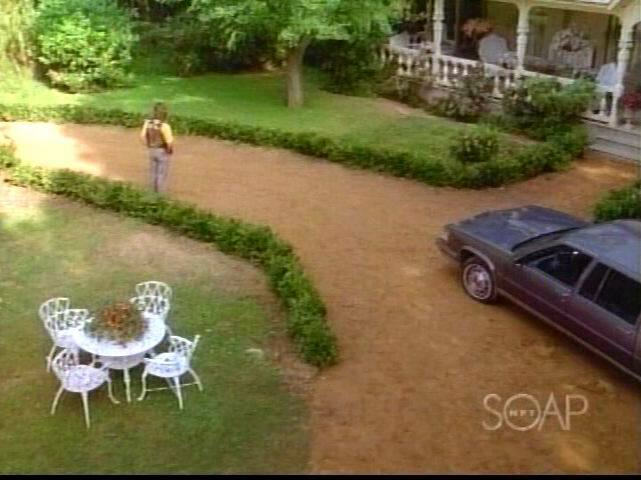 This fountain also appeared in Bewitched and was more recently seen in the intro sequence for the TV show Friends. 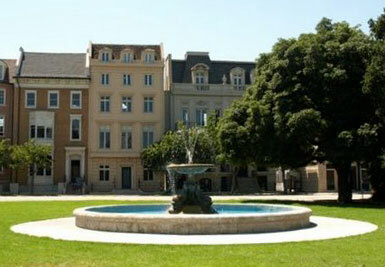 Across the lawn from the fountain is the structure known as Skeffington House which was where the Baldwin sisters lived. 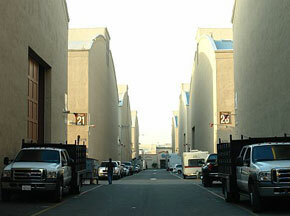 "We filmed the series mostly at the Warner Brothers Lot. 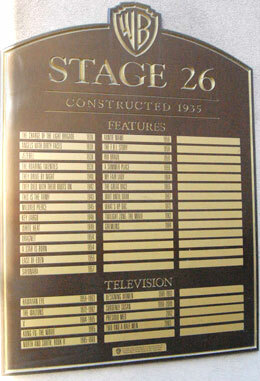 Our interior scenes (Walton house,Ikes Store,Baldwin Sisters house) were on Stage 26. 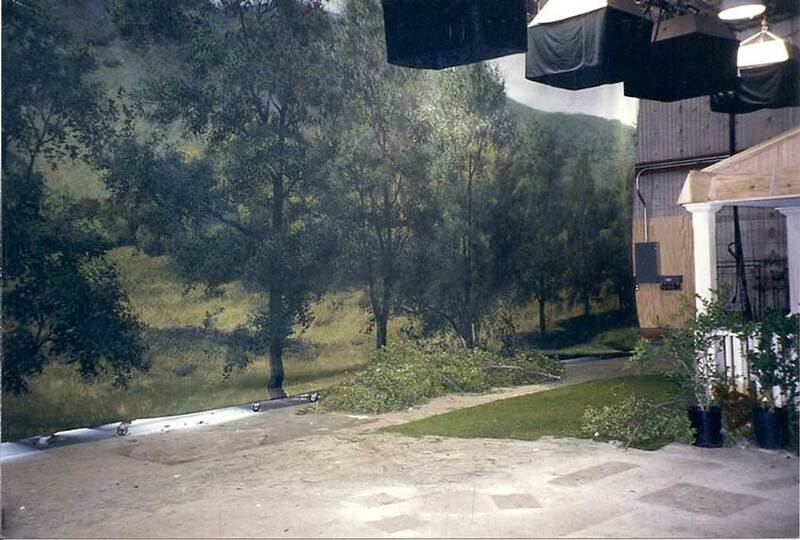 On the back lot was the exterior sets (Walton house, Ike's Store, Drucilla's pond, Country roads). The church was on the "Western Set" and the schoolhouse and Charlottesville were in the "Mid-Western Set". 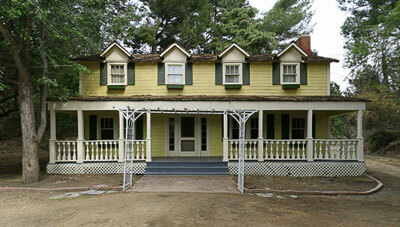 On the Warners Ranch, was the Baldwin's exterior house. We would also film on location at a little area called Franklin Canyon between the San Fernando Valley and Beverly Hills. 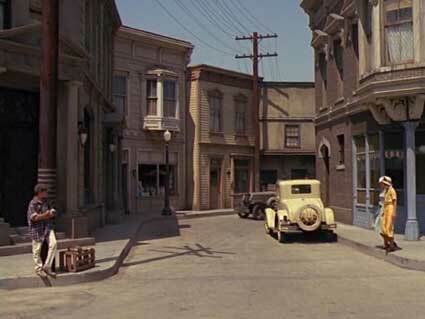 Every year we would also go to Frazier Park and do exterior scenes (Wingwalker, Grandpa's Funeral, fighting for the other Waltons-Boone et al). We would try to get the exteriors done and then move to the interiors"
Other more rural locations were filmed at the Angeles National Forest and the Kern River area. 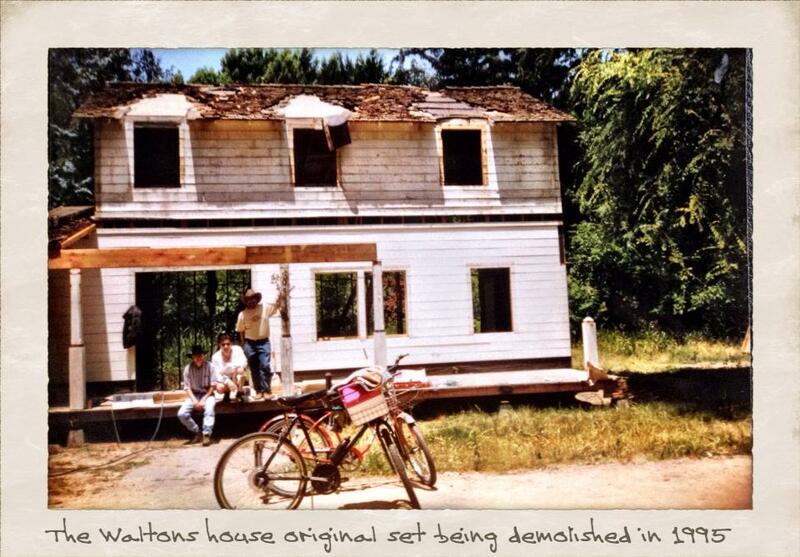 In November 1991 the original home was burned to the ground by an disgruntled studio employee. 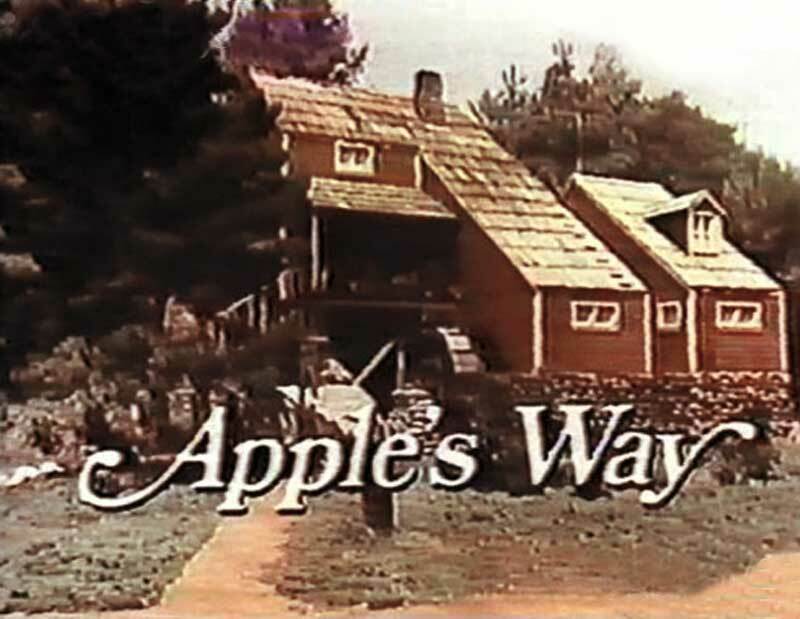 It was rebuilt in 1992 and used for the 1993 Walton Reunion Special. 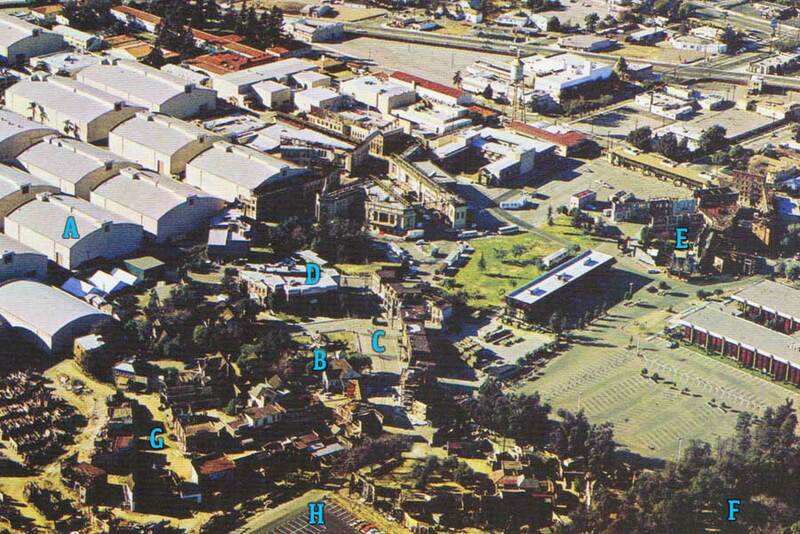 In 1995 it was decided by the studio that part of the Jungle Set on the back lot would be converted into a parking lot. 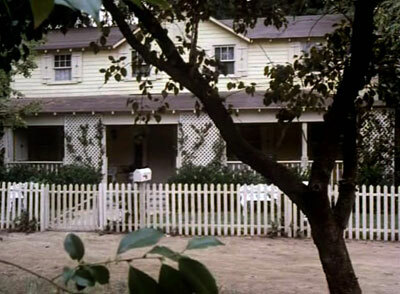 With the Walton Reunion movies continuing to fetch large ratings it was necessary to still have the house set operational for filming. 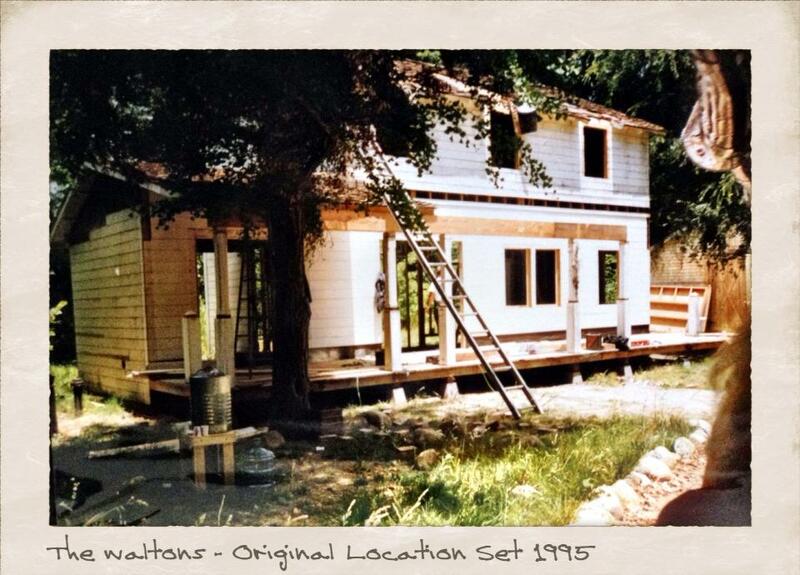 The "Walton" house facade was moved to a wooded area 1/2 mile to the north on the Warner Bros. Ranch. This spot had previously been the location of a grist mill that had been built for Earl Hamner's 2nd TV series Apple's Way (1973-74). 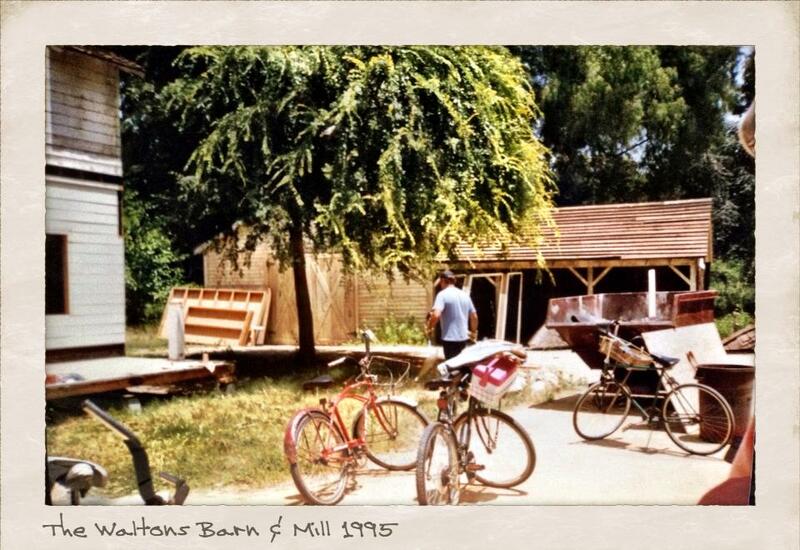 Later the mill was adapted to replace the real location that was used for Mr. Rourke's residence in Fantasy Island. 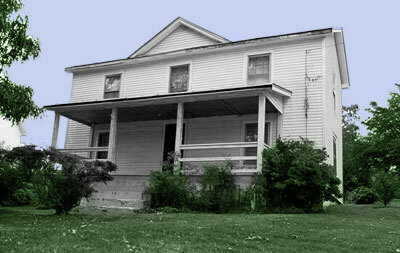 You can clearly see by comparing the two photos above how the mill was modified to become Mr. Rourkes residence. 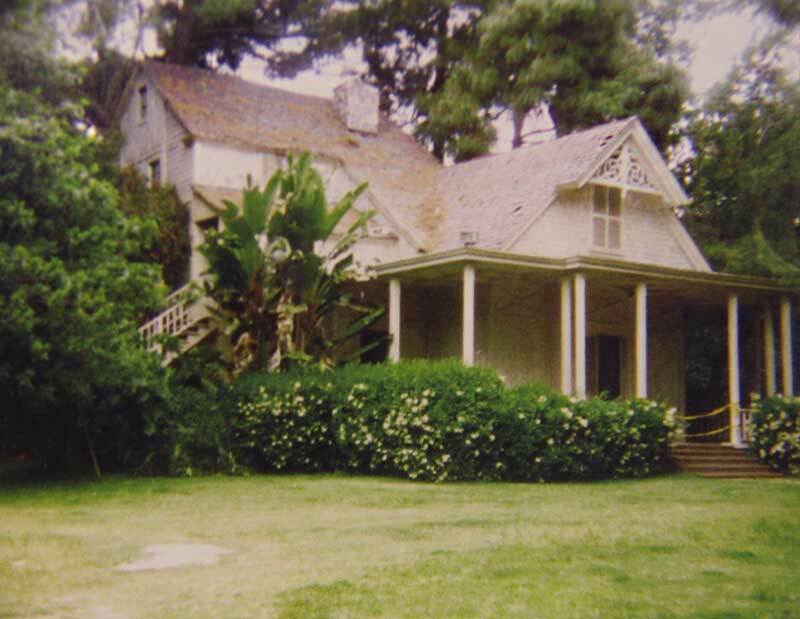 The Queen Anne style cootage that served as the exotic residence for Mr. Rourke on Fantasy Island (1977-1984) is located at the Los Angeles Arboretum in Arcadia, California. 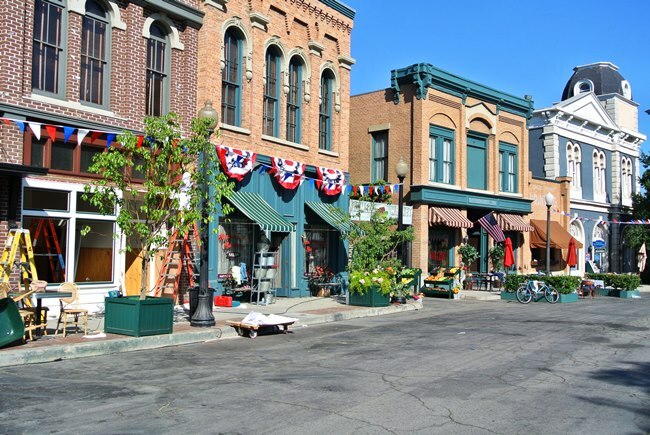 The producers of that show decided to build a set that could be used instead of traveling to the Arboretum for the filming of exterior sequences. 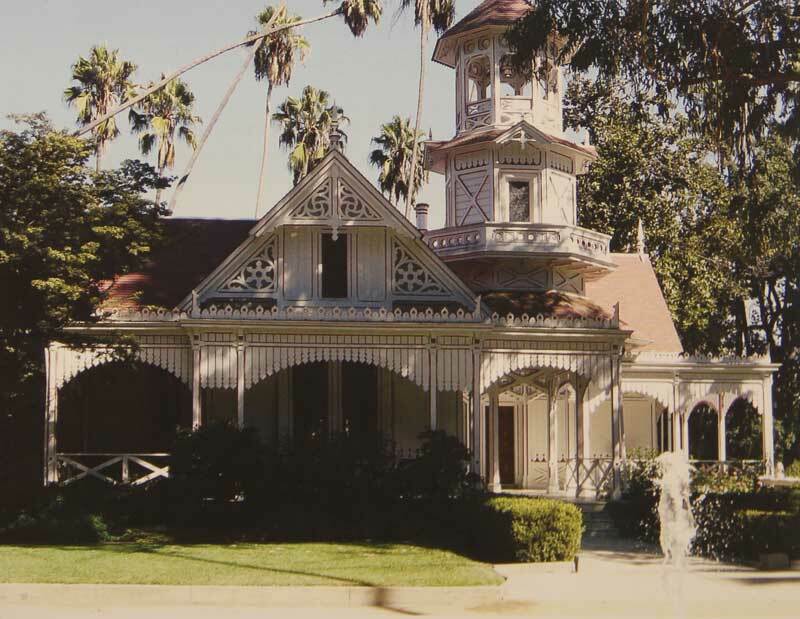 Here is the original Walton house as it appeared in 1995 while it was in the process of being relocated to the Warner's Ranch. The many lives of the Walton home. 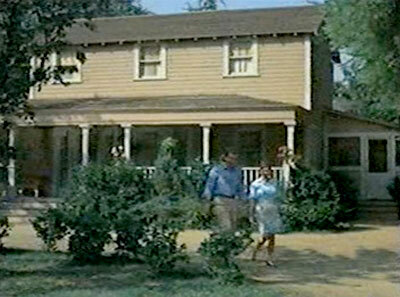 The first known appearance of the home was in Mayberry R.F.D. a spin-off of 'The Andy Griffith Show'. Only a year later it would enter TV history for the first season of The Waltons. 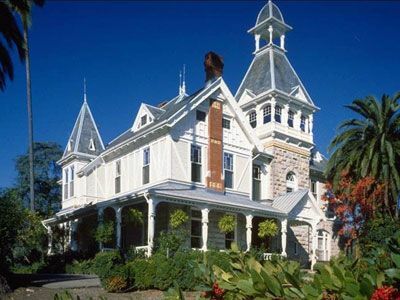 Gables were added to the roof most likely to increase the resemblance to the childhood home of the show's creator Earl Hamner. 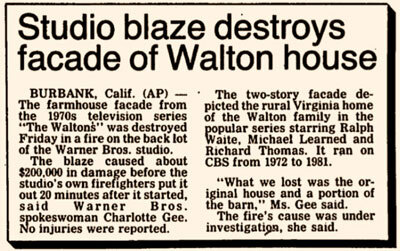 After the Walton run, the house saw very little camera time, most likely due to it's notoriety as the Walton home. 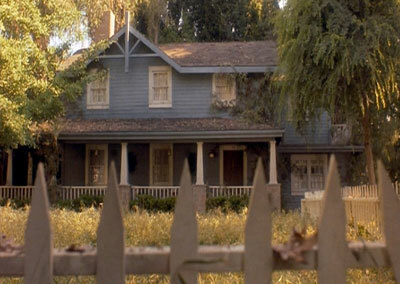 In 1991 the original home was lost to a fire, set by disgruntled studio employee. 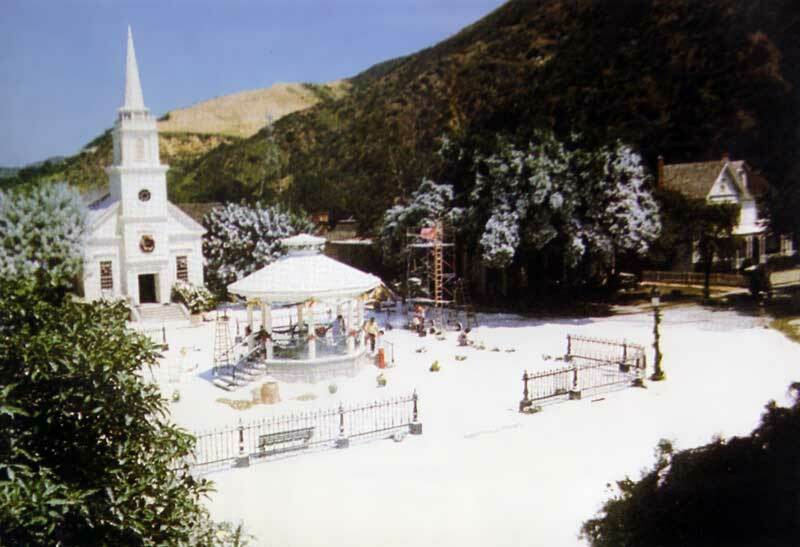 It was rebuilt for the 1993 movie special and then due to the need for a parking lot, it was relocated to the Warner Brothers Ranch for the 1995 and 1997 specials. 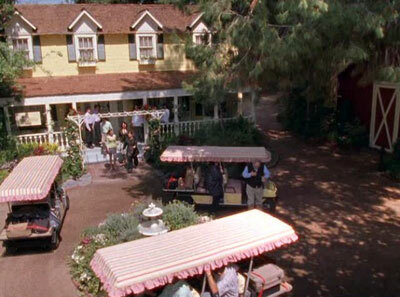 In 2001 it gained a new identity as the location of The Dragonfly Inn for the show Gilmore Girls. 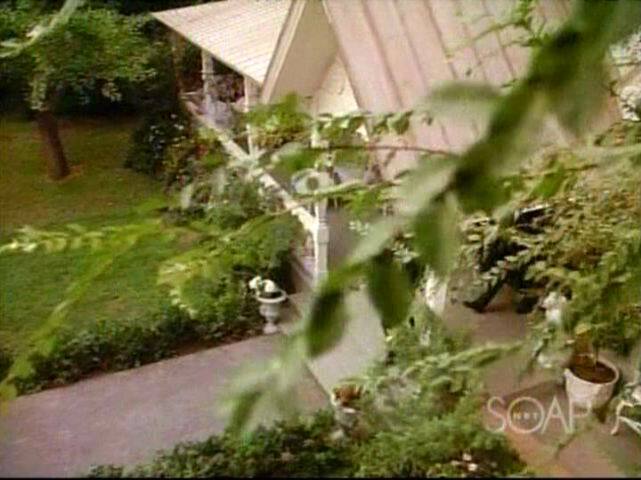 When used in 1984 as a location for Earl Hamner's next series, Falcon Crest, the house had a large single gable which as a result made it appear more like his childhood home in Schuyler, Virginia. A fascinating image from the late 80's/early 90's that shows a grey house with the front door and steps offset to the right and a large central dormer offset to the left. Note as well that the road is paved. In the image below and to the left you can see home the 2nd floor has been extended to the left by another window which then centers the central dormer to the middle. The 2nd location "Walton" house features distinctive arched entries to each room that lead off from the front entrance. Not at all like the Walton living room. No wonder they never filmed scenes at the back of the house. CLICK HERE to see a 360 degree panoramic inside and outside of the house here in a virtual tour of the Warner's lot. 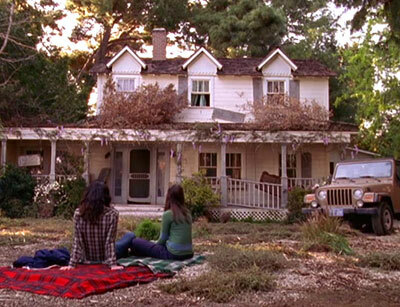 The Gilmore Girls production actually decorated and filmed the interior of the 2nd "Walton" house for scenes inside the Dragonfly Inn. The distinctive arches are clearly visible in these scenes. 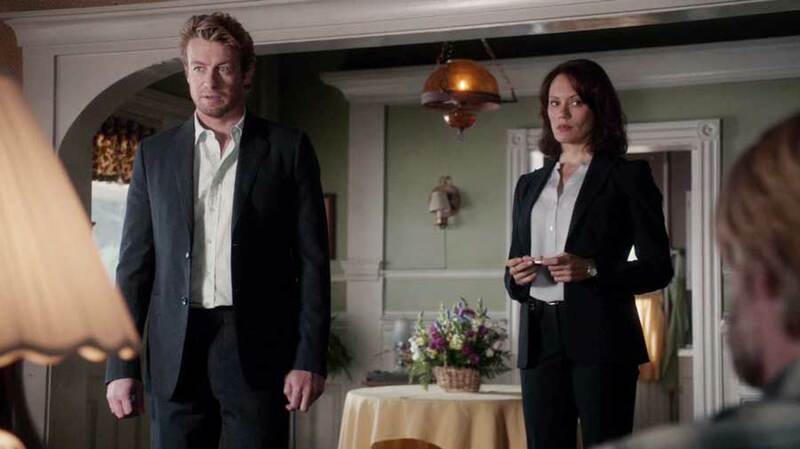 The "Walton" house made a 2014 appearance on The Mentalist (S6-ep14) in the episode "Grey Water". Scenes were actually filmed inside the interior of this typically exterior use only location. 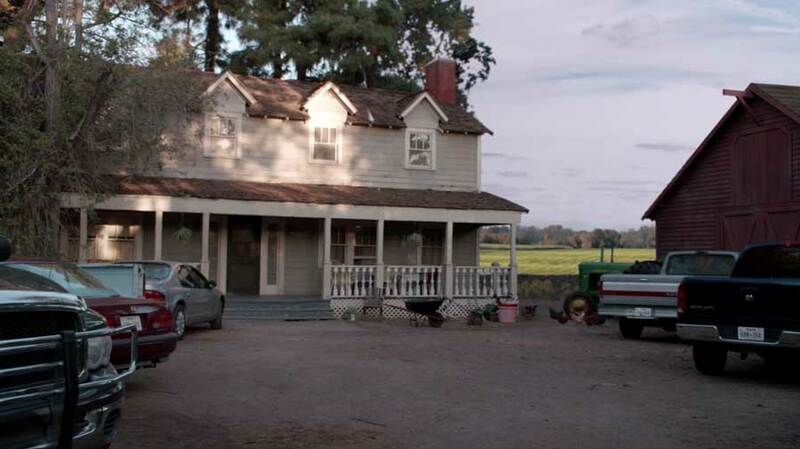 A farm field was digitally added in the background between the house and the barn. Once again the distinctive arches make it clear that the inside of the "Walton" facade has been decorated into a practical set. 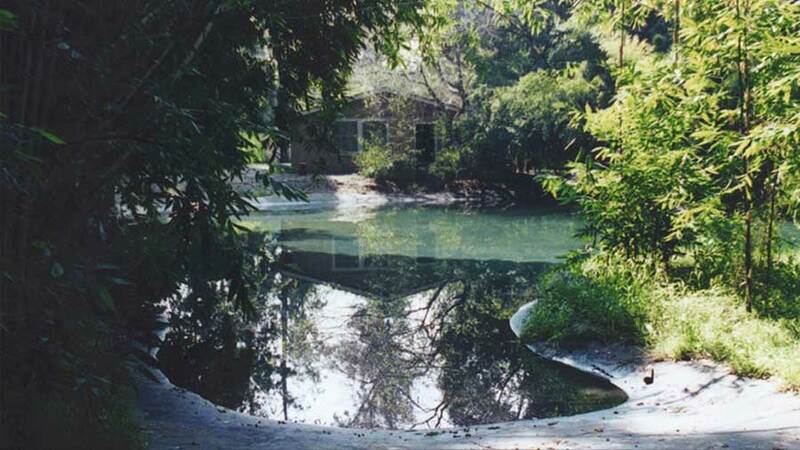 www.columbiaranch.net posted this Google aerial image on their Facebook page in July 2016 that confirms the rumours that the Walton house has in fact been dismantled and put in storage to make way for a sprawling house that has been built for the TNT TV series "Animal Kingdom". Wow, if you made it this far you might enjoy looking at screen grabs from the show that illustrate the various sets, structures and scenics used to bring the show to life. Click here to visit that page.